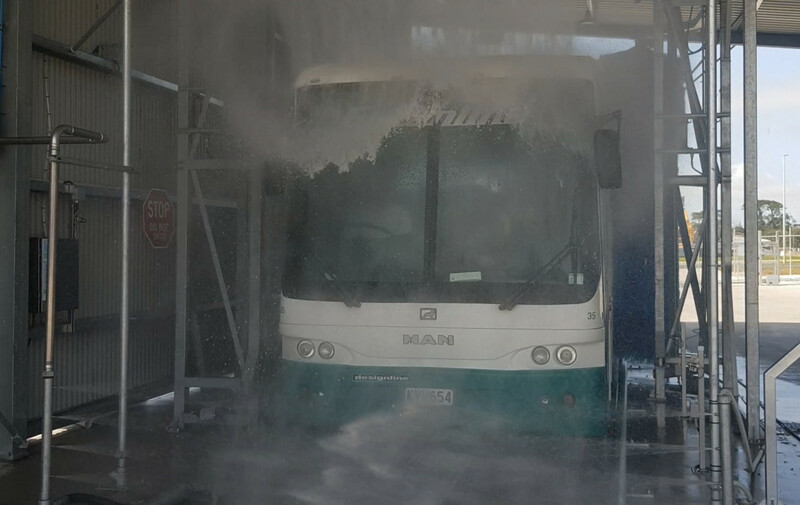 The new bus wash near Auckland Airport is a quick and easy way to get buses, coaches, vans etc gleaming in just a few minutes. The system uses premium 2510 cleaning detergent, gentle wraparound brushes and a spot-free final rinse. As a water recycling system, this unit is great for the environment too.